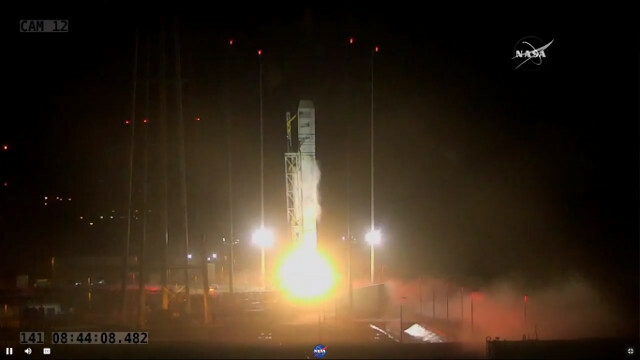 A little while ago Orbital ATK’s Cygnus spacecraft blasted off atop an Antares rocket from the Mid-Atlantic Regional Spaceport (MARS), part of NASA’s Wallops Flight Facility (WFF) on Wallops Island. After about nine minutes it successfully separated from the rocket’s last stage went en route to its destination. This is its ninth official mission, called Orbital-9 or simply Orb-9 but also CRS OA-9, to transport supplies to the International Space Station for NASA.